Ensure optimal performance during Flow chemistry with our flexible research tool dedicated to research, development and production thanks to our collaboration with UniQsis. 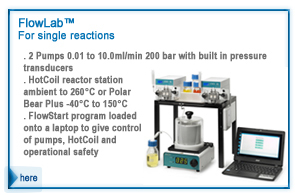 The FlowSyn is the fully integrated continuous flow reactor for all flow chemistry experiments – from the simple to the highly sophisticated. FlowSyn start with a standalone FlowSyn system and simply upgrade as the need arises by choosing from our comprehensive range of systems, material options and reactor modules. 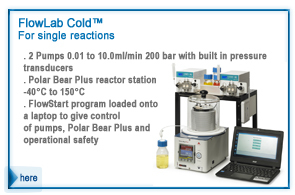 Designed by chemists for chemists, this system allow to go farer in your synthesis!